To apply to law school you must have (or be in your final year of completing) a baccalaureate degree from an accredited college or university. No particular major or prelaw curriculum is required. When selecting an area of study you should select coursework that you find interesting and challenging. You should also take courses that will help you to develop critical reasoning skills and that will enhance your written and oral expression as these skills are essential for success in the rigorous academic environment of law school. You should begin the application process in the academic year prior to when you want to enroll; however you should begin preparing for the Law School Admissions Test (LSAT) even earlier. The LSAT is a standardized test offered by the Law School Admissions Council six (6) times per year in June, July, September, November, January, and March. You will also need to subscribe to the Law School Credential Assembly Service (CAS), which compiles a report including LSAT scores, transcripts and letters of recommendation, which you will have sent to all the law schools to which you apply. 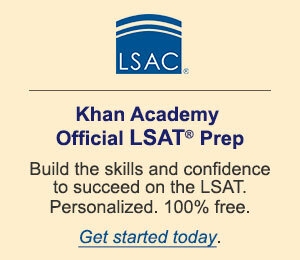 For more information on the LSAT or CAS please visit www.lsac.org. LSAC provides a wealth of information for prospective students regarding the application process and preparing for the LSAT so lsac.org is a great place to begin your research. On their site you will also find information about recruiting events featuring a wide range of law schools. LSAC Forums are held all over the country and provide an opportunity to meet with law school representatives and attend informal panels on topics of interest to prelaw students. DiscoverLaw.org is another LSAC resource that seeks to promote diversity in the legal profession and provides information on the practice of law. DiscoverLaw is especially helpful for high school and early college students because its focus is on helping prelaw students examine law as a career path and plan their education direction. Colleges and universities will have a designated prelaw advisor who can assist you with the law school admissions process. Once you have created an LSAC Candidate Account, the name and contact information of the prelaw advisor at your degree-granting institution will be included in your profile. You may also want to contact the academic advising office at your college or talk to your major department advisor for additional guidance. You should also plan to attend an information session, open house or other law school recruiting event. The University of Houston Law Center offers a Pre-Law Pipeline Program, designed to attract and encourage undergraduate students from low income, first generation, and underrepresented backgrounds to pursue legal careers. The eight-week residential summer program helps undergraduate students prepare to meet the demands of the Law School Admissions Test (LSAT) exam, the law school application process and, ultimately, their law school careers. For more information contact Kristen Guiseppi, Pipeline Programs Director at uhprelaw@central.uh.edu or 713-743-6215, or to apply, please visit http://www.law.uh.edu/pipeline/. The UH Law Center, in conjunction with the University of Houston Honors College and the College of Liberal Arts and Social Sciences, is launching a new 3+3 Program in Fall 2015. The program allows students to earn both an undergraduate degree and a law degree in just 6 years. Selected students will be able to begin law school after only three years of undergraduate work, with the first year of law school counting toward the completion of the undergraduate degree. Upon completion of the first year of law school, students will earn a degree in Liberal Studies, with a minor in Phronesis, the study of law, ethics and politics, and a second minor of the student’s choice. The program will be kept small and will include mentoring, support, co-curricular programing such as guest speakers, access to the Law School faculty and programs, and LSAT prep. For more information visit http://www.uh.edu/honors/Programs-Minors/honors-minors-programs/3law-program/.